Loot Crate: The Gears of War are turning! Fire up your lancers, Gears! Loot Crate and The Coalition have teamed up to bring you the Gears of War 4: Loot Crate Edition, a special mystery crate packed with EXCLUSIVE collectibles, apparel and more to celebrate the game’s October 11th release. Supplies are limited. 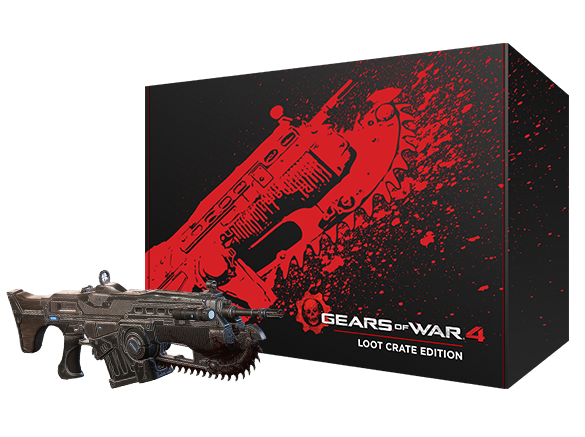 What do you think about the Loot Crate Limited Edition Gears of War 4 Crate? ← Julep: Libra has landed! !